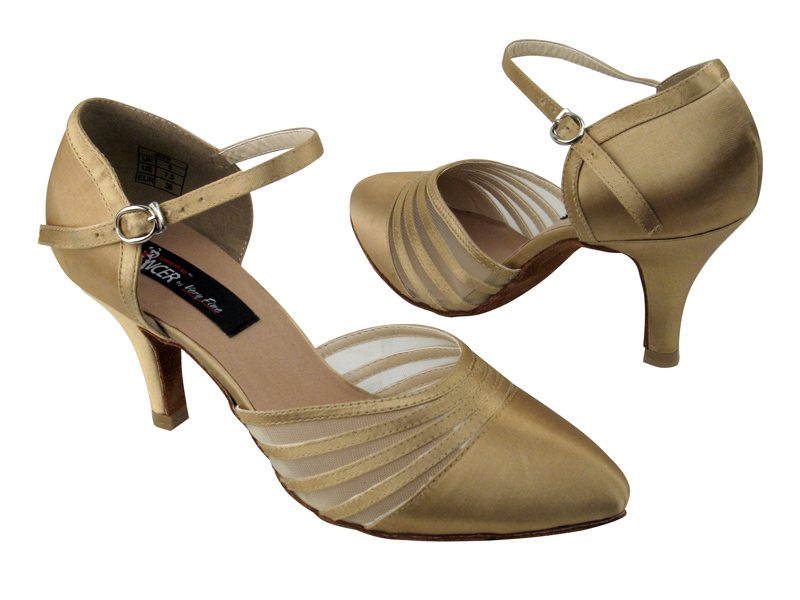 Heel -25: 2.5" Flare Low Heel, matching Tan Satin covered and with plastic toplift. 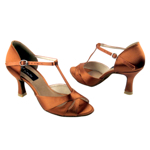 Heel -30: 3" Flare High Heel, matching Tan Satin covered and with plastic toplift. Made from Premium Satin. Special exterior fabrication/satin made for water/oil/dirt RESISTANCE (3R = 3 Resistance), and easier to clean than traditional satin used for dance shoes.